Coffee is ever-present. Open kitchen cupboards across the United States, and you will find a plethora of coffee mugs and travel mugs (intended for hot coffee). Watch people arrive at work in a building downtown, and you’ll see many of them carrying to-go coffee cups. Cups of coffee are one of the most common beverages you’ll find in automobile cup holders. Coffee consumption is continuing to increase in the United States. Sixty-four percent of consumers said they drank coffee within the past day, according to the National Coffee Association’s 2018 report. That’s the highest level since 2012 and a two-point jump since 2017. The NCA also reported coffee drinkers in the United States drink an average of three cups a day and 51 percent of past-day coffee drinkers only drank gourmet coffee. Because millennials are currently the largest consumer demographic, the light of increasing coffee consumption is most often shined on them. However, the 2018 NCA report shows more Gen Xers and baby boomers are drinking coffee, including specialty drinks. The demand for coffee is reflected in the success of our franchisees. Our average unit volume for the top one-third of our locations is $645,194 and we’ve experienced four years of same store sales increases averaging 8.7 percent. * A lot of our success has to do with how we source our coffee, too. We utilize only the top one percent of Arabica beans, sourcing 14 coffees from Sumatra to Ethiopia, Colombia to Papua New Guinea. We also deliver guests a true farm-to-cup experience straight from our Nicaraguan and Honduran coffee farms through our “Adopt a Farm” initiative. 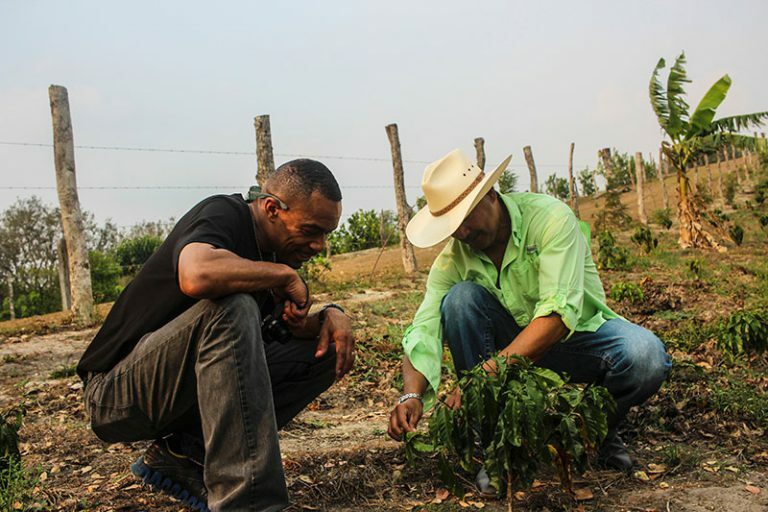 This appeals to a substantial segment of coffee drinkers who tend to buy coffee that is conscientiously grown – the NCA report found that one-fifth of consumers are more likely to purchase coffee grown on farms that treat workers fairly and grow coffee sustainably. Compared to other food franchise concepts, coffee shops are relatively simple to run. This can be easily observed the next time you order a coffee. For example, counter-service operations don’t require as much real estate as full-service restaurants. This will save you thousands of dollars on rent, build-out costs and/or initial purchase price, as well as ongoing maintenance and utility costs. You will also save on payroll expenses because the staff preparing your coffee is the same staff serving your guests. The limited staff means operations have to be efficient to provide convenient service. And, because most of the drinks are coffee-based, baristas have an easier time keeping track of orders. Coffee shops also require fewer ingredients and equipment than full-serve restaurants. Plus, franchise operations are already proven, so you don’t have to spend time developing your own. Simple operations are critical for coffee shops, where a significant number of customers are grabbing their coffee on the go. 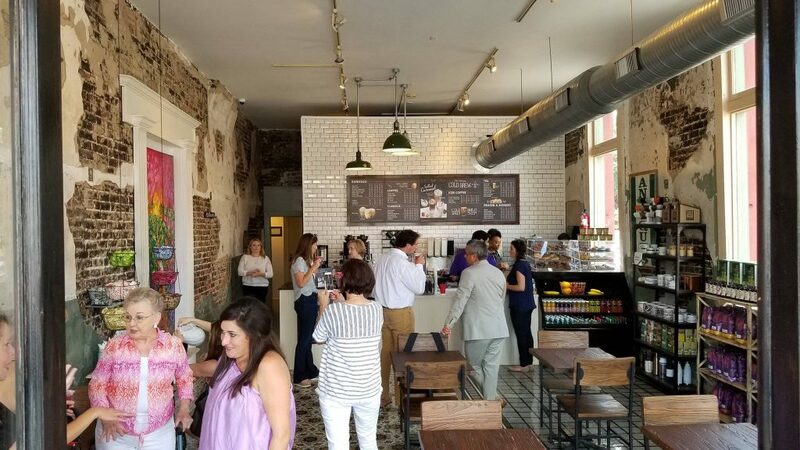 At PJ’s Coffee, we enhance simple operations and the ordering experience with our unique interior design reflecting a modern New Orleans aesthetic. Our operating models are adaptable to any environment, from kiosks to freestanding drive-thru locations. Americans love their coffee shops. They don’t just serve one of the world’s largest commodities, but coffee shops also serve complementary food options, such as pastries and sandwiches, in an environment that typically provides Wi-Fi and a place to socialize. PJ’s Coffee locations provide all this along with a new, modern in-store experience that encourages guests to spend more time inside, enjoying their coffee. Stores are bright with brown and New Orleans blue accents, providing a fun and familiar atmosphere. The updated look is paying dividends. Those stores with the new design have experienced significant same-store sales increases. Plus, the franchise model helps you get started on the right foot by providing plenty of support. We offer guidance from the outset through site selection and evaluation. You have access to our internal team of experts, and knowledgeable retail real estate brokers in your local market assist with site identification and evaluation, letter of intent submittal, lease negotiations and lease review. Training online and in the classroom, along with on-site, hands-on training at your location will bring you up to speed on the processes necessary for your success. Operational support and reference materials can assist you throughout your time in business. You will also have access to existing franchisees that have been through similar challenges, so you can reach out to them for advice. Support from experts in the industry will be a huge benefit for you as a new business owner, especially during your first year. Backed by an in-demand product, a simple and appealing concept and the proven success of a franchise model, coffee franchises like PJ’s Coffee are a sound investment. If you’re interested in becoming part of the PJ’s Coffee family, download our franchise brochure today. * Reference Item 19 of the PJ’s Coffee FDD for details.